This chapter provides introductory aspects to the readers so that they may understand readily and clearly the significance of the book edition. 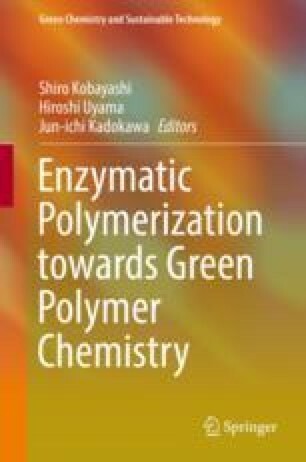 It is important for polymer chemists to know the present status of “enzymatic polymerization” and “green polymer chemistry.” The former involves its historical background and characteristics including enzymatic reaction mechanism. The latter is related with several important “green” aspects, toward which the former is expected to contribute. Brief abstracts of all the chapters are also given for the easier understanding of the whole book.